Ti’s the season for all things baked! And my favorite…rugelach! 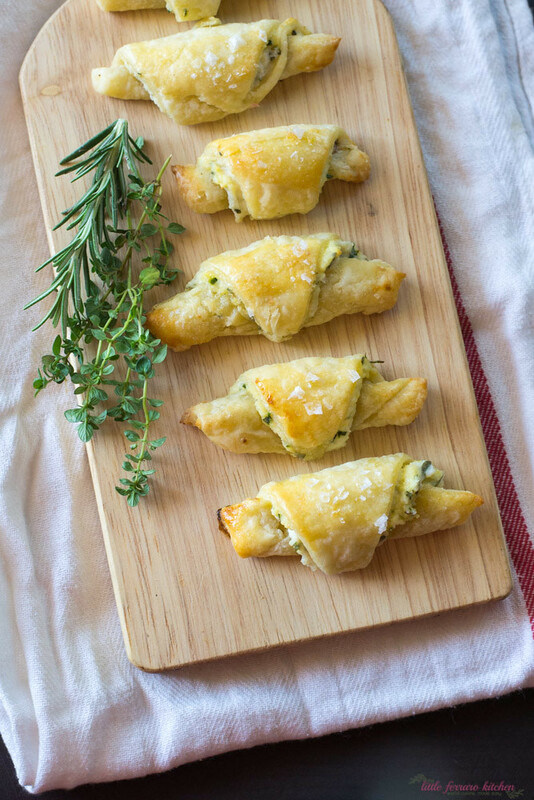 Or in this case, savory herb and cheese rugelach. November usually commences the rugelach baking and I have to admit, I am pretty darn good at it. Even the LA Times said I did a snazzy job! 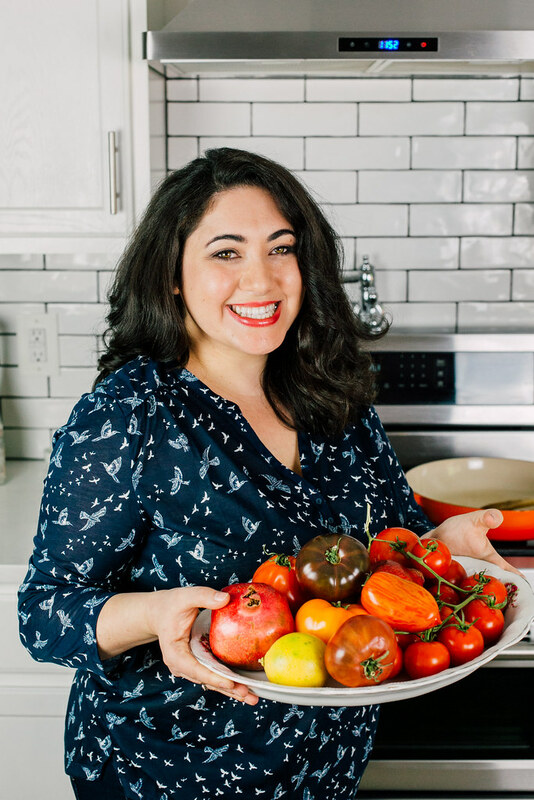 Usually I play around with sweeter flavors of rugelach, such as my traditional Cherry-Pistachio rugelach (I make that every year) or my other seasonal favorite, pumpkin and candied pecan rugelach, but this time my savory tooth was taking over and what did I do…ditched the sugar! And I am SOO glad I did. I subbed sugar for freshly grated Parmesan cheese and rolled the rugelach with creamy ricotta, caramelized garlic and lots of freshly chopped herbs. Decadent, yes? 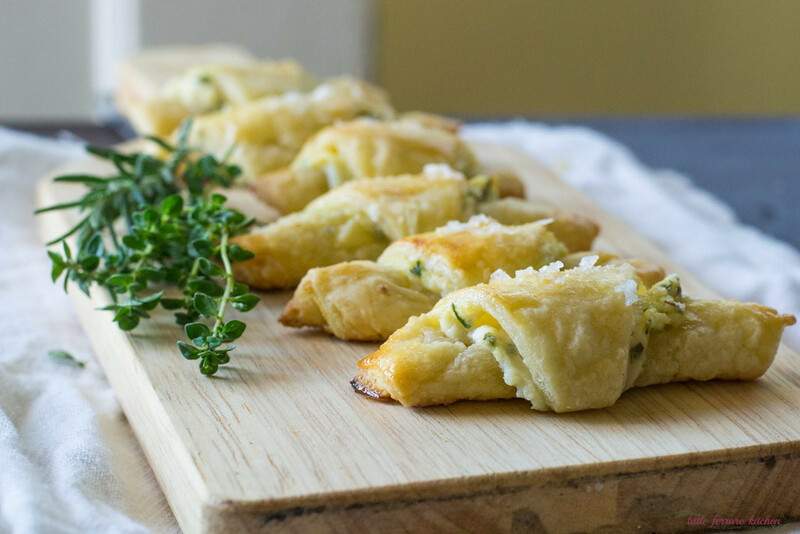 Head on over to The Nosher for the entire recipe and get your (savory) Holiday baking on! Ohhh la la.. I’ve never had savory Rugelach. It looks absolutely mouth watering. I’ll be making this for the holidays.